Google AdWords has rolled out a series of changes that could help pay-per-click (PPC) marketers target mobiles more effectively. The PPC platform has long allowed users to run separate campaigns for mobile devices. However, Google is now adding more granular mobile targeting features. Firstly, advertisers can now specify whether they want to restrict their audience to Wi-Fi traffic; this might come in handy if the campaign relies on high-bandwidth content such as videos. Secondly, they can choose to limit views to specific versions of the major mobile operating systems; this ensures visitors are able to access apps or services that are only compatible with up-to-date technology such as iOS 4.0 or Android 3.0 and above. Meanwhile, a couple of extra features have been introduced to Automated Rules, which may be of interest to mobile PPC marketing experts. The first is that advertisers can now create as many as 100 rules - up from 10 - that specify conditions such as when certain keywords should be paused or when maximum cost-per-click bids should be raised. And the second is that an undo button has been added to automated rules, allowing advertisers to try out new ideas safe in the knowledge that they can instantly revert to the old set of rules if the results are disappointing. Mark Baker, online marketing manager at theEword, commented: "Google AdWords is always experimenting with new features and I think this is yet another example of the platform responding to user feedback. 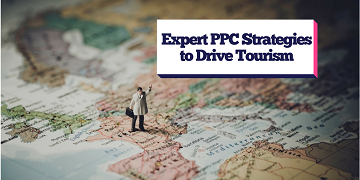 It's great that Google is listening to the needs of advertisers, and from my perspective anything that allows better targeting in PPC marketing has to be a step in the right direction."